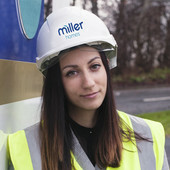 You can take a degree in quantity surveying, accredited by the Royal Institution of Chartered Surveyors (RICS), but you do not have to have studied this subject to enter the profession. The RICS accredited postgraduate courses will enable graduates to work as quantity surveyors. A list of relevant courses is available at RICS Course. Many firms offer structured placements which may last from a few days to a whole summer vacation. Check firms' websites for details or apply speculatively. Use the RICS Find a Surveyor facility for contact information. Specialist recruitment agencies include Macdonald & Company, which is endorsed by RICS. Once you're working as a trainee quantity surveyor, the next step to becoming a fully qualified chartered surveyor is to obtain RICS membership. In order to do this, you must successfully complete the RICS Assessment of Professional Competence (APC). Chartered Institution of Civil Engineering Surveyors (ICES) (particularly useful for those who want to work in the engineering construction industries). There are opportunities for working abroad. For vacancies with international employers, see RICS Recruit.